Matt writes: Garry Marshall, the comedy mastermind behind several iconic TV shows and hit films, died last Tuesday at age 81. He leaves behind a rich legacy that did not go unnoticed by Roger Ebert. The critic greatly admired Marshall's 1984 film, "The Flamingo Kid," hailing its star, Matt Dillon, as a revelation. Ebert also loved Marshall's phenomenally successful 1990 romantic comedy, "Pretty Women," which launched the career of Julia Roberts. "[Marshall's] films betray an instinctive good nature," wrote Ebert in his three-and-a-half-star review, "and [this film] is about as warmhearted as a movie about two cold realists can possibly be." For heartfelt eulogies, check out the obituary penned by Susan Wloszcyzyna at RogerEbert.com, as well as Hadley Freeman’s remembrance at The Guardian. For guaranteed laughs, check out the clip embedded below of Marshall in an unforgettable excerpt from Albert Brooks' 1985 classic, "Lost in America," a scene that Ebert claimed was the best in the movie. It's hard not to agree with him. The NSA plans to reopen the public vetting process for cybersecurity standards; "12 Years a Slave" and the dangers of early Oscar predictions; Disney's new app allows moviegoers to interact with movies while watching them (sigh); our computers are atrophying our brains; "Endless Love" author Scott Spencer on how his novel become a really bad movie (twice); the final moments of Winnie the Pooh; students demonstrate against random drug testing. It was the middle of the night in Artena, Italy, a small hill village outside of Rome. 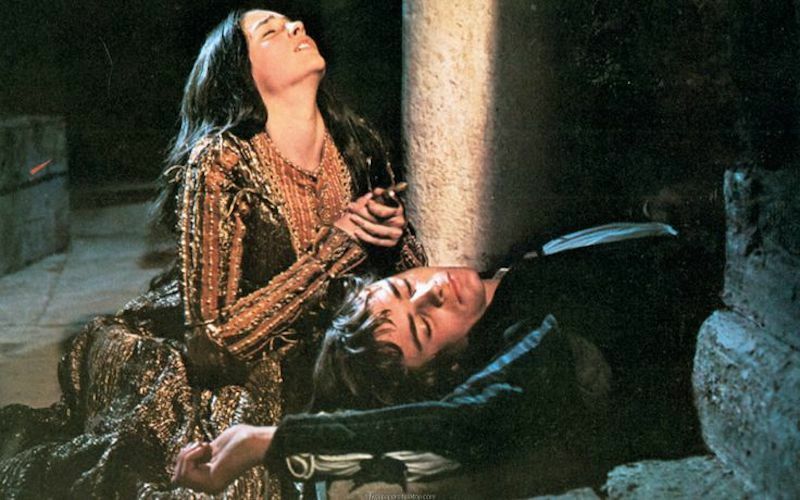 Franco Zeffirelli was preparing to shoot the balcony scene of his "Romeo and Juliet." In the gardens below an old stone wall of the Palazzo Borghese, carpenters were hammering on a platform that would the camera to film Romeo's climb to Juliet's balcony. Prop men scurried up and down Romeo's path, planting strategic flowers and picturesque shrubs. A small, bald man came threading through the trees. It was Nino Rota, Zeffirelli's composer. "I thought I'd find you here," he said. "I want you to listen to this." He began humming a tune. I had been talking with Zeffirelli, and now I followed them, forgotten, as Rota hummed and the two men walked and swayed in time with the music. There was a full moon. I said to myself I would never forget that night, and you see I haven't. I believe Nina Rota was the greatest composer in the history of the movies. Who else wrote scores in the 1950s and 1960s that are in print and selling well today? I have seven of them on iTunes. It is impossible to remember a film by Fellini without recalling the score. Recently, in a review of "Nine," the musical inspired by "Fellini's "8 1/2," I noted one of its problems: It was less memorably musical than the original film. Then this sentence came from my fingers: I could watch a Fellini film on the radio. "Awake in the Dark: The Best of Roger Ebert," just published by the University of Chicago Press, achieves a first. Though the Sun-Times film critic remains the dean of American cineastes, his essential writings have never been collected in a single volume until now. "Awake in the Dark" surveys his 40-year catalog, including reviews, essays and interviews. The following is an excerpt from the book's introduction, and for the next five weeks we'll publish excerpts here from the collection's highlights in each decade, from the '60s to the '00s. LOS ANGELES--Kenneth Branagh's "Hamlet" is one of those grand gestures that restores your faith in the flexibility and imagination of the movies. When so many films seem to march lockstep through versions of the same proven formulas, here's one that takes on perhaps the most enigmatic character in literature, and surrounds him with every single word of "Hamlet"--a play so often cut that many people have never seen it as Shakespeare wrote it. HOLLYWOOD - Of all the kinds of sets they make movies on, the science-fiction sets are the most fun. Here was Michael York, dressed in a 23d Century tunic, holding a ray gun and looking immensely pleased with himself. And all around him, inside the largest sound stage on the MGM lot, were vast plastic domes and rows of ominously blinking lights and strange machines that looked like dentists' chairs run amok. Romeo and Juliet were upstairs asleep in the castle, and Franco Zeffirelli kept the night watch alone. He sat cross-legged on the old stone wall of the Palazzo Borghese and sipped brandy from a paper cup. Behind him, the wall fell 100 feet into the valley. Above him, the little town clung to the hillside, each house stacked above the last. And on the other side of the castle wall was the secret garden where the families of the Borghese had doubtless spent their afternoons 400 years ago.